Arsenal’s 4-1 win in Basel was not just a key victory as it meant the Gunners came top of Group A. The Gunners should now get a more comfortable draw than they usually get in the knockout rounds, either way they will be at home in the second leg. Besides the above, Arsenal were also able to play some youngsters and give them experience of a big win in the Champions League. Amongst those to impress was Rob Holding in central defence and Alex Iwobi who scored the fourth Arsenal goal. 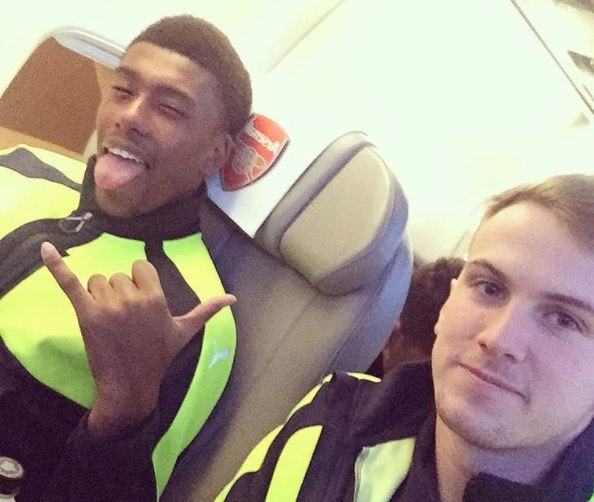 On the way home, clearly in high spirits, Holding posted a picture from the Arsenal plane alongside Iwobi. Holding was so good in Basel, that on Arsenal Fan TV he was compared to Tony Adams. There is no greater Gunners comparison than that!